No one likes to think about it, but first impressions matter. Whether you are interviewing for a job or out on a first date, a stunning smile makes you look sincere, confident, and trustworthy. Sadly, many people’s teeth do not look their best. If yours are stained, crooked, yellowed, or worn down, porcelain veneers can help. Here’s how veneers can improve your smile. Very thin shells of high-quality dental porcelain that slip over your teeth, porcelain veneers can be color-matched to your natural teeth. They are strong and durable, and are chemically bonded onto your teeth for maximum stability. With proper care, porcelain veneers can last for years. What Conditions Can Veneers Fix? Wear and tear: Teeth naturally wear down over time. Yours may wear down faster than usual if you use your teeth as a tool or are fond of chewing on ice or pens. Minor breakage: A sports injury, a fall, or other light trauma such as a fall or a sports injury can case teeth to crack or chip. While extensive damage must be fixed, porcelain veneers can hide minor breakage. 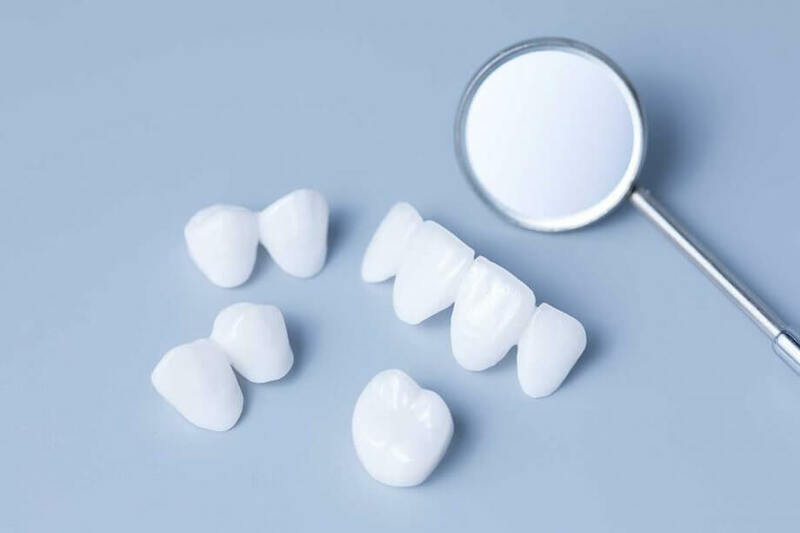 Discoloration: Many people have deep staining or discoloration from excessive fluoride, root canals, large fillings, or even certain medications. If teeth whitening cannot correct your dental discoloration, porcelain veneers can hide it. Misshapen or uneven teeth: Truly perfect teeth are extremely rare. If yours are misshapen or uneven, porcelain veneers can improve their appearance. Minor crookedness or gapping: If your teeth are badly misaligned, you may need orthodontic treatment. However, porcelain veneers are an excellent way to hide minor crookedness and small gaps. Though few dental restorations last forever, porcelain veneers are one of the longest-lasting solutions. They are designed to withstand the forces of biting and chewing, and they can easily last for more than a decade with proper care. Porcelain veneers also resist staining. Teeth whitening must be repeated regularly, but excellent oral hygiene will keep your porcelain veneers bright and healthy-looking. You might be concerned that porcelain veneers will give you a too-white “game show host” smile, but veneers are designed to appear highly natural. The dental porcelain mirrors the sheen and translucency of natural teeth, and we will color-match your veneers to the adjacent teeth. If you want a brighter smile, we can whiten your teeth first and then match your veneers to your new tooth color. Just remember that to maintain the match, you must whiten regularly. If you are looking for compassionate, highly individualized, cutting-edge dental care in New York City, contact Smiles on the Upper Westside today at 212-222-5225 to schedule your first appointment. Welcome to Smiles On The Upper Westside! Service is at the core of everything we do. Our Upper West Side dental team works together to provide a warm, comfortable and relaxing environment. Contact us today to request an appointment.